A few weeks ago, a big mystery unfolded in East Nashville. First, Lockeland Springs restaurant Mad Donna’s closed its doors unexpectedly, its owners offering little about the abrupt change aside of promising to share news soon. Neighbors spied TV crews, so rumors started swirling: Was this longtime neighborhood haunt the latest subject of reality-TV show Bar Rescue? Turned out, that was only part true: Bar Rescue host Jon Taffer shared an invite via Facebook for locals to drop by “a massive TV Grand Opening of a brand new restaurant,” which turned out to be the new Wylee’s, a.k.a. the former Mad Donna’s. But the overhaul was for a new, yet-unnamed show, and the project involved not just Taffer, but rock star Sheryl Crow, too. That show hasn’t aired yet (we’ve been keeping our eyes peeled for news), but Wylee’s has been up and going at 1313 Woodland Street for a bit now, and all signs point to a successful overhaul — locals have been praising the fresh, Southern-centric redesign and the menu’s new focus on organic/healthy options, and many Mad Donna’s favorites, like its weekend brunch, are back in place under the new name too. It’s cool to see one of our local spots get a place on the small screen. But this is far from the first TV-overhaul to happen in our area, and they haven’t all been fairytales. Here are a few other Nashville-area restaurants that have gotten a big televised makeover, with mixed results. In 2015, Donelson eatery Ellendale’s got surprise visit from Food Network host Robert Irvine and his show Restaurant: Impossible, who brought plans to overhaul the historic space (known locally for its lunch buffet), and its unwieldy menu. Irvine’s team reinvented the former farmhouse with a brightened, updated look that called to the space’s history (including a massive beam-turned-chandelier), and helped pare and focus the menu, which now includes upscale fare like seared sea bass and braised short ribs with shrimp and grits. According to executive chef Julie Buhler, the ambush brought positive results. “Business has improved since the buzz of the show,” she told Food Network. “It’s up about 20 percent, which is huge to me. Before the show I was running four or five servers a night and now seven or eight.” Check out the episode above. Maybe the most surprising entry into the reality-TV fray was the long-loved Hermitage Cafe, a greasy spoon that Nashvillians have been heading to for simple comfort food for decades. Food Network show American Diner Revival, along with hosts Ty Pennington and celeb-chef Amanda Freitag, came to town in 2015 to give the cafe a major reboot, including new furniture, windows, flooring and more. Longtime locals trembled a little (or a lot) at the thought of one of our institutions getting a too-fancy overhaul, but as it turned out, the show kept a steady hand, and the revamped Hermitage Cafe still has the old charm, just some stylish (but fitting) upgrades, like cool custom tile on the bar. “All in all, a respectable update to a Nashville classic,” Eater Nashville said of the TV makeover. Above, watch some local news coverage chronicling the cafe’s history and upgrades — including the fact that the owners were “beyond happy” with the experience. Madison meat-and-three place The Dinner Bell was another on the Restaurant: Impossible ambush list. But unfortunately, unlike Ellendale’s, it seems like things were a little less sunny, post-show. That won’t come as too much of a surprise if you watched the episode (embedded above) — it wasn’t the cuddliest, with owner Tommy Kirkpatrick pulling few punches when it came to expressing how he felt (“don’t get in my face” and threats of a whuppin’ included). Also pointing to a big hill to climb: During the intro portion, host Robert Irvine said, “This has got to be the most desperate restaurant I’ve ever been to.” The Dinner Bell episode of Restaurant: Impossible aired in February of 2013, and by April, 2013, the restaurant announced its closure. If there’s one Nashville restaurant reality TV story that invites cringes, it’s the tale of Chappy’s on Church. The New Orleans-styled eatery took part in chef Gordon Ramsay’s Kitchen Nightmares in December of 2012, and soon after, chef John “Chappy” Chapman made it clear he wasn’t happy with the experience — including the stripping of NOLA flair from both the decor and the menu. Eater Nashville noted that Chapman kept Ramsay’s menu changes (which swapped dishes like jambalaya and gumbo for chicken and burgers) for about a month, then brought back the original dishes in mid-January. Ultimately, he ended up feeling that the make-over “killed my business,” he told Fox 17 Nashville. “We went down to almost nothing, down to one table in a night.” In June of 2013, Chappy’s closed its doors. 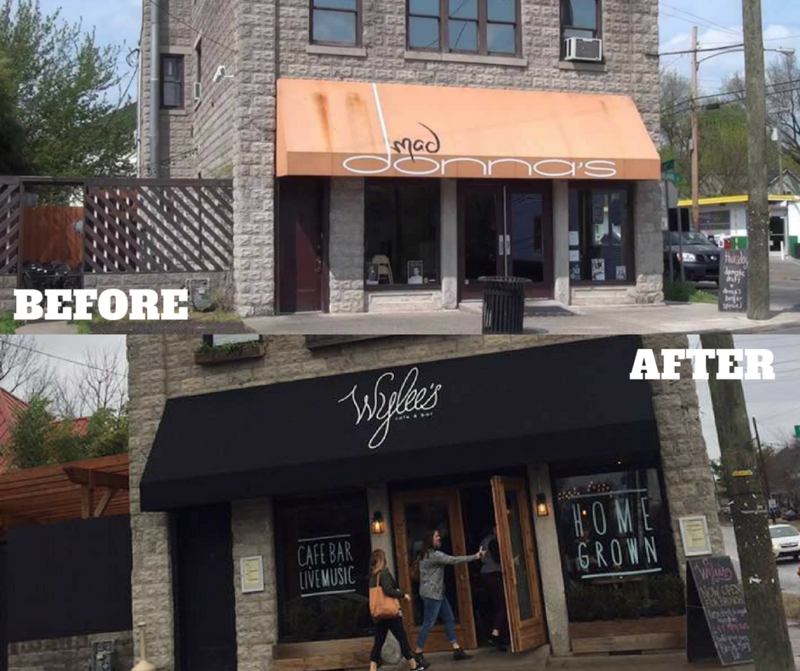 Did we miss any Nashville-area restaurants that had TV makeovers? We’d love to catch up if so — please share! If you’re in Nashville and are looking for your own renewed space, we don’t do makeovers, but we do help people find new homes, with as much fairytale-happiness as we can foster. Give us a call, or send us an email, and let us know what you’re looking for in a new home!